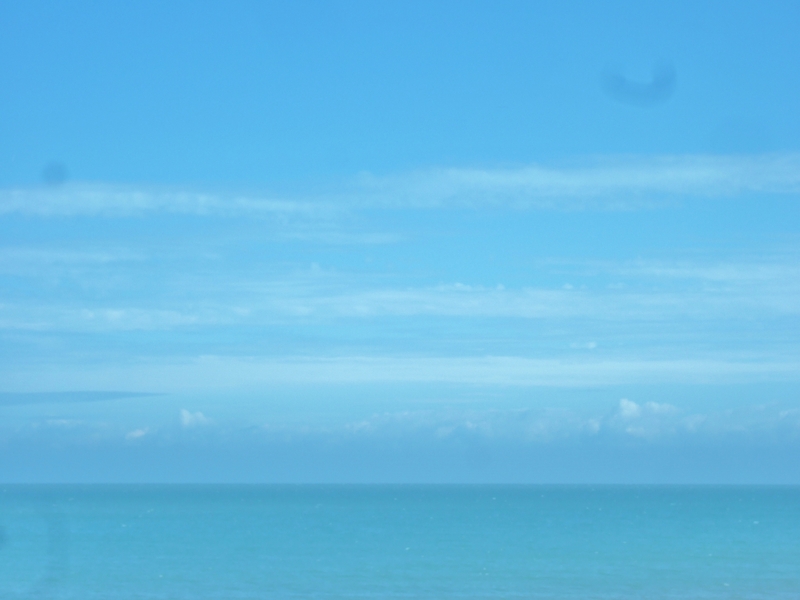 Blue guides our eye to the horizon and from there our gaze flutters to the heavens. Blue is calming, it brings us hope, it raises our spirits, but it is also a tad mysterious. Where will this blue lead us? What is beyond this blue? What celestial secrets does this entrancing colour hold? The Queen of Heaven is one of the many titles given to the The Virgin Mary of the Christian religion. The Virgin Mary is central to the Christian story as the Mother of Christ. Following her death, Mary was Assumed into Heaven where she became The Queen of Heaven. In the majority of portrayals of The Virgin Mary in Byzantine, Renaissance and Baroque art, she is shown wearing a mantle of blue. 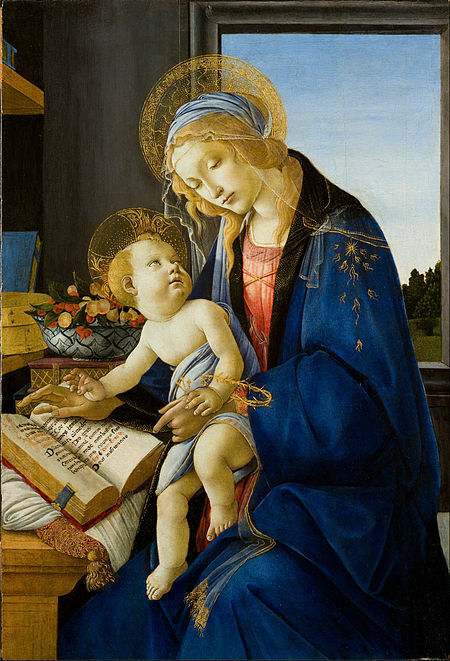 Not only does the blue indicate The Virgin’s position in Heaven, it also visually and artistically celebrates her worth and her central position in Christianity. For, the blue pigment used to paint her mantle was, at the time, worth more than gold. Blue did not take its rightful place in Western Art until the late 13C, when the very rare Lapis Lazuli, mined in Afghanistan, started to appear in Europe. This intensely blue semi-precious stone proved to be the perfect raw material from which to make a radically new blue paint. And what did they name this new blue treasure? Ultramarine because it came from across the sea. And any patron worth their salt would want to show off their wealth by commissioning a work bejewelled with this most precious Ultramarine. The Queen of Heaven was given a treatment worthy of her status. She was cloaked in a colour more expensive than gold. And so the Queen of Heaven looks down on us forever bedecked in the most luxurious, the most thrillingly vivid, the most triumphant of blues. Who wouldn’t want a mantle which, while made from the most expensive stone on earth, equally elevates us to the Heavens? Next Post The answer to what Joseph is doing … ! Wow, didn’t they just go for it with their blues, back then. The paintings you use to illustrate are magnificent. I particularly like the David (never heard of him, where did you find him?) and the wonderful Botticelli. Love your blogs. I know, Botticelli – there’s nobody like him. The delicacy with which he creates these ‘spun sugar’ haloes is incredible. 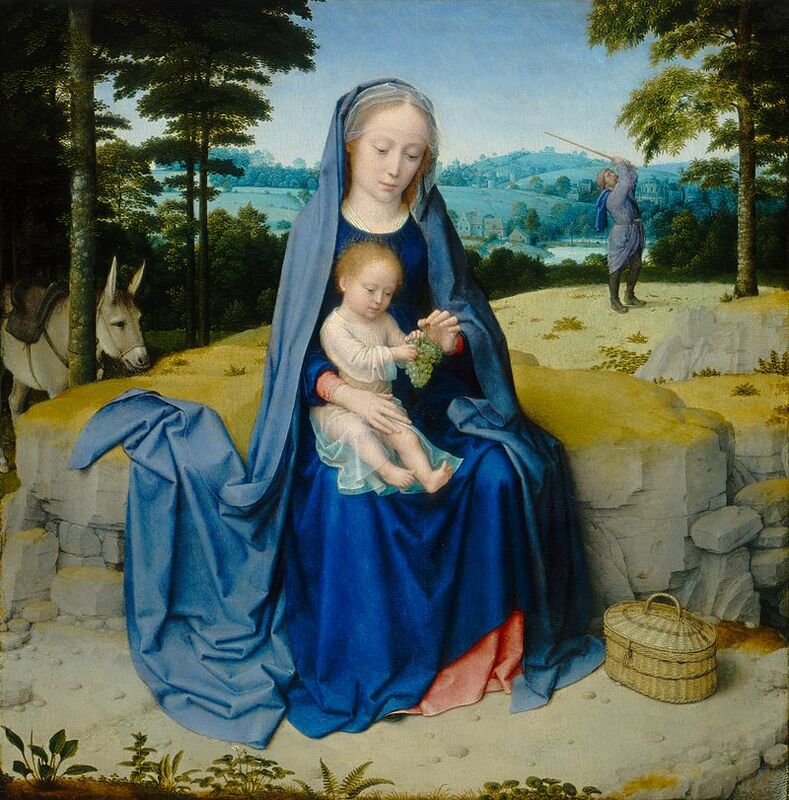 Gerard David is also new to me. His dates are 1484-1523 and was part of the Northern Renaissance, very different to the Italian, in that they included much more everyday life in their compositions. He was based in Bruges and the National Gallery describes his works as full of ‘gentle mysticism‘ – how lovely! Yes, David is new to me too but what a gorgeous blue that is. Not sure what Joseph is up to behind her, though. I love the combination of blue with gold. The ceiling of the Sainte-Chapelle in Paris is painted blue with gold fleur-de-lis, which I’ve seen elsewhere, too, but it always strikes me as such a rich combination, especially above the jewel-like colours of the stained glass windows. I didn’t realise there was quite so much richness in the blue! (pic of the ceiling: https://www.flickr.com/photos/fromus75/22732601096/). I wonder what you feel as a painter when you paint with a lot of blue? 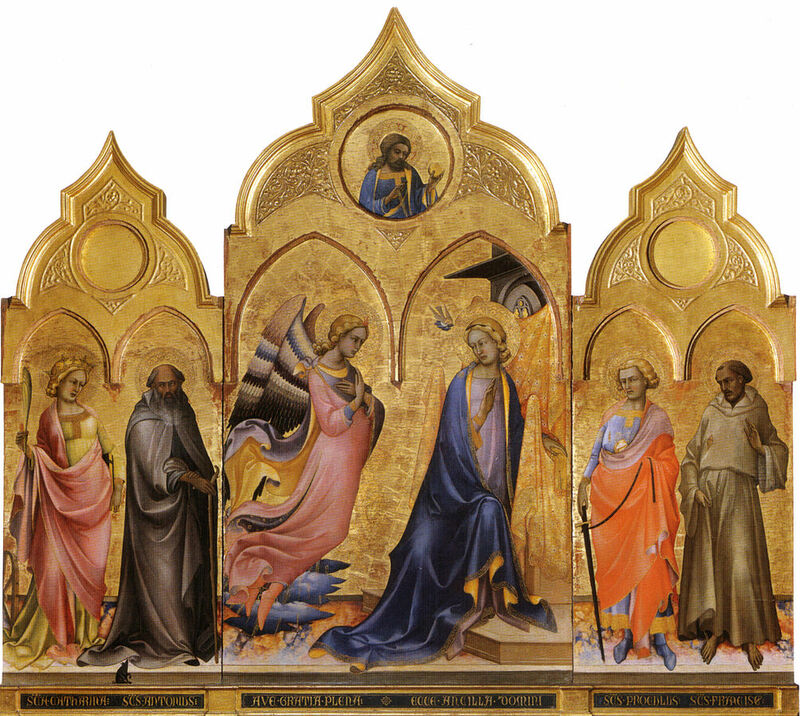 What exactly is Tempera Francesca ? A very good question, Lucy. Wow! That is some combination – the blue and gold atop all that stained glass! Giotto used the same combination on the ceiling of the Scrovegni Chapel in Padua, though these were gold stars rather than fleur-de-lis. There’s something I find very exciting about looking up at a ceiling of gold stars. When I paint in blue I feel: liberation, flow, adventure. Thank you for asking! What a wonderful article, Francesca, thank you for sharing such beautiful paintings! That blue! You’ve chosen some really beautiful images. Some Madonnas and child are … well, awful but these are really lovely. That Joseph looks like he’s fly fishing! I particularly like the first one. The Lorenzo Monaco is lovely, isn’t it. It has that International Gothic weightless beauty about it. 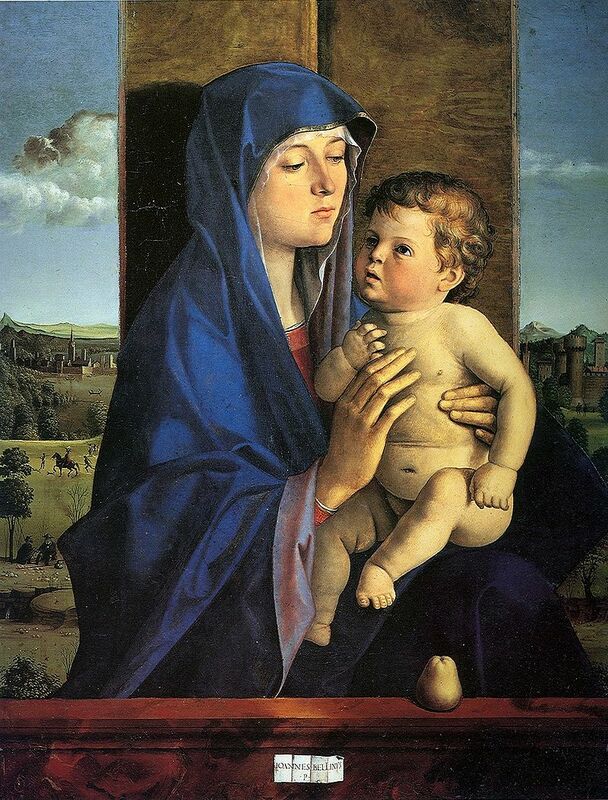 Yes, the portrayals of Madonna and Child do indeed vary. Some of the paintings of the Christ Child are distinctly odd, but it was considered irreligious to portray Jesus as a child rather than a small adult until the 17C. I adore blue and you’ve shared some wonderfully vibrant examples of it. I knew that blue was a relatively recent addition to art and it always amazes me to think of how they could manage without it. I couldn’t agree more, Andrea! He’s not fly-fishing. It’s an early version of a selfie stick.